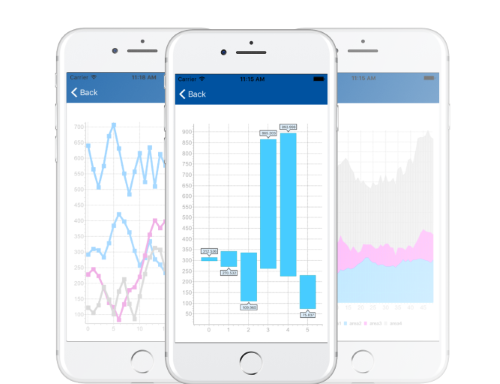 TeeChart for Xamarin.iOS charting components provide support for iOS mobile platform and includes 50+ chart types with maps and gauges, complete chart toolkit for additional functionality and more. TeeChart Chart for Chart for iPhone and iPad uses the C# version derived from the TeeChart for .NET codebase. Built in Xamarin for iOS. Offers a great variety of chart types for business, scientific and financial applications plus gauges and maps with customizable tools for data visualization in the mobile.